Curtain Up with Sheila V - Wednesday afternoons 1 - 4 pm. Presented by Sheila V bringing you all the latest theatre news, reviews, previews and some fabulous live guests. The show is dedicated to all aspects of Cornish Arts, from theatre to film, dance to books and everything in between. Cornwall Sound Lounge Sunday evenings 7 - 10 pm. A showcase for local and touring musicians with special guests playing a live session each week. Previews/reviews and the good gig guide. Join Sheila V for the best local music. When Bernie is back on form and well again, he brings his love of music and rugby together, his chocies include music from the fifties onwards. The housewives favourite amateur mixes old with new alternative music,usually while out of his shed. A request driven show, do the right thing and text-a-request. What attracted you to community radio? .....All the bright and shiny things! Who are your favourite musical influences? Beatles,Jam,Clash, Any obscurities. What was the last one you attended?....Brian Jonestown Massacre. What was your first car/motorbike etc?.......Isetta 300 bubble car. What is your favourite food?........edible! Which famous person dead or alive would you invite for a bite to eat?....Reg Varney. Im a St Austell boy born and bred and a retired engineer, married with a family all living in the general area. I have a wide interest in music , theres not much I don't like. All types of Rock. Blues, Jazz, Swing, the list is endless. The first artist I ever saw was Bert Weedon (who?) A middle aged guitarist in the middle of the Rock and Roll era. and shortly after, the one and only Gene Vincent on a UK tour. I never looked back, all this thanks to my late sister who was much older and quite and influence. Favourite Bands ? The early days was most artists on the Stax label like, Otis Redding , James Brown, Eddie Floyd, Sam and Dave. (Original Soul music) Blood Sweat and Tears, Chicago, with their brass influences. Hence the love of swing and the sweet harmonies of the Manhattan Transfer. Did I say harmonies well that brings me to the four Seasons and Beach Boys whose music I enjoyed playing with a local band before the family came along. Now I do a couple of slots each week on RSAB , Monday drivetime 4pm to 7pm and Friday A to Z, 5pm to 7pm and what a learning curve for my music knowledge. 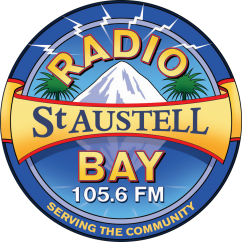 I am a keen golfer and was chatting to Biff Griffin our seniors golf captain at Porthpean Golf Club who has been with the radio station since its beginning, and mentioned I have listened to RSAB for a few years ,and he suggested I consider joining the team. The rest is history, and oh boy do I enjoy the involvement. Join Steve and the crew for an exclectic mix of music and chat. Our Ready Steady Mod presenter, Sunday mornings 10am to 12noon. Playing the best mix of Mod, Northern Soul, R&B and Motown. So pleased to have Martin back after a health scare, and his pre recorded Sunday show makes Sunday mornings worth getting up for. Eclectic bag musically, pop, folk, jazz, 60s to current. My son is one half of a band, Mount Kimbie, I love their music and so that will feature from time to time! I love film and some music will be from film soundtracks. I'm a very keen gardener, wildlife enthusiast, love the outdoors. When work commitments allow I also volunteer for People and Gardens. I'm married, have two children a gorgeous Labrador, and a very cute cat! I'm a foodie, love freshly cooked, tasty food of all origins. What attracted you to community radio? I was volunteering for CHBN (Cornwall Hospital Broadcasting Network) at Treliske when a local opportunity became available at RSAB, so I contacted the Station Manager and started the same time as Nigel Bassett. Who are your favourite musical influences? I love anything with a good disco beat or power ballet that you can really belt out. If I was to choose something to make me dance, it would be something cheesy from the 80's What was your first concert you attended? UB40 Glasgow Barrowlands What was the last one you attended? Coldplay Cardiff What is your favourite mode of transport? Taxi! What was your first car/motorbike etc? I had a motorbike and passed my bike test before I started driving lessons. As soon as I passed my car test - the bike was traded for a red Ford Fiesta 1.4sport and I loved it! Thought I was the bees knees. If money was no object what car/motorbike etc would you like to own? A car would be anything convertible. I don't ride a bike now, too many cars. Where is your favourite holiday destination? Ibiza Why? Lots to do, great weather, lovely boat trips and restaurants. What is your favourite food? I am a real foodie. Chinese is my top choice. Which famous person dead or alive would you invite for a bite to eat? Paul O'Grady. I think he's fab! What attracted you to community radio? For me, it's the freedom to play music that really moves you, sifting through songs that cover all kinds of human emotion. You're not tied to the machine of money (though we need it to run), which allows you to share the sonic world, in more depth. I also love when people tell me stories, so I can find a tune to compliment a part of their journey on this blue dot. Who are your favourite musical influences? My first true love with music was Tori Amos, she has always slayed me. My proclivity is a bit more ethereal. When I was quite young, I was pretty obsessed with Melissa Etheridge, as she was my only outlet to any thing LGBT. I spent my more formative years in Texas, so it was quite difficult growing up, silently being gay. Music was my santuary, and still is. I am on a St. Vincent, and PJ Harvey, kick at the moment. What was your first concert you attended? Tori Amos - Boys For Pele era. What was the last one you attended? Goldfrapp, I am actually going to see Tori Amos in London next month...see a pattern? What was your first car/motorbike etc? A sweet arse Honda Civic. I adored that little booger. If money was no object what car/motorbike etc would you like to own? Probably a Porsche, or a Ferrari. Not going to lie, I love a fast car. I used to street race as a teenager. I am an adrenaline junkie. Where is your favourite holiday destination? I don't set out with destinations in mind. I usually go online, find the cheapest place to travel to, and just go. Even if I don't know where it is. I don't research it beforehand, and the surprise awaits me. I actually found Newquay this way. I found a ticket for £2.50 return, to 'New kway.' It was a very special moment in time for me. I also learned how to pronounce it properly when I arrived. Though I still have great difficulty pronouncing Cornish words. What is your favourite food? It varies with my mood. But when I can find a good vegan meal, I am a happy panther. Which famous person dead or alive would you invite for a bite to eat? Greta Garbo. Because, Greta Garbo. Al Roberts presents Tunes From The Man Cave. 8.30 - 10pm Wednesday evenings. Duke Ellington once said 'There are only two types of music - good and bad' In the Man Cave we only play what we consider to be good music. All genres are considered, the aim is to play artists and tracks that are not often heard on main stream radio stations. To quote another great man 'Turn on, tune in, drop out'. This is a pre recorded show. Wake up with the only RSAB person up at stupid o`clock in the mornings, with regular features including Hooper’s Hits, Breakfast Brainteasers, Daily Dad Dancing Track as selected by you, interviews with local organisations and groups most days, checkout any daftness in the newspapers, weekly reviews on Plymouth Speedway, Pam`s Potty Poem and general blurbishness. Looking forward to your company already. Nigel has also taken on Saturday Brunch from 10.00 am - 1pm. His usual mix of morning madness, just a bit later! Cat covers for gaps and helps out on outisde events, when she is not working. Cathryn, known as Cat on the radio and to her close friends and family, was born in St Albans. She has two boys and both have taken on her love of rock music. Due to working shifts as a nurse, Cat is unable to take a permanent role on the radio at the moment but enjoys standing in for the other presenters when needed. What attracted you to community radio? Nigel first introduced me to the radio shortly after we met. I told him there and then I wouldn't even say 'hello' into the microphone so don't try to convince me otherwise. The rest as they say is history. Who are your favourite musical influences? Bon Jovi and Dire Straits. What was your first concert you attended? What was the last one you attended? Bryan Adams this year (2017) at Powderham Castle Exeter. Plane. It usually means I'm going somewhere nice. What was your first car/motorbike etc? Mazda (don't know what model). A present from my mum and dad on my 17th birthday. If money was no object what car would you like to own? Dubai is hot. Also it has the world's only 7* hotel which does a lovely afternoon tea and cake although it's a tad on the expensive side but worth the experience. Which famous person dead or alive would you invite for a bite to eat? The Mellow Show Monday 8-10am and Monday 10-midnight. Gary Ziepe started his career in the library at Capital Radio. Referring to his long hair at the time Kenny Everett said "I must get a wig like that." Since then he's presented various shows on various radio stations including Breeze AM, Chiltern FM and Invicta FM. Gary also worked on Capital Gold for ten years. He now works on the legendary Radio Caroline.